Another Lost Year Announce the "Blazing Into Spring Tour"; Video for Single "Call It Like It Is" Out Now on VEVO! 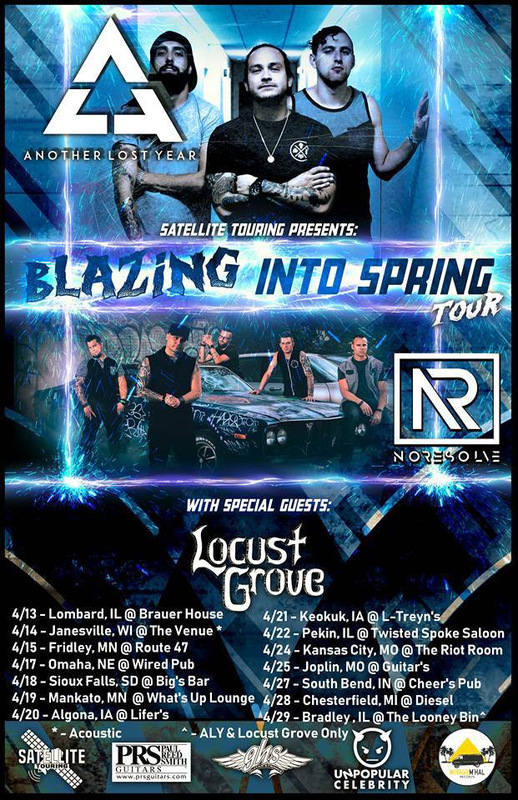 Rock band Another Lost Year announced the "Blazing into Spring Tour" featuring No Resolve and special guest Locust Grove. The tour kicks off April 13th in Lombard, Illinois at Brauer House and will conclude on April 29th at The Looney Bin in Bradley, Illinois. The video for single, "Call It Like It Is", from their upcoming album due out in 2018 originally premiered on Loudwire.com and can now be seen on Vevo at the following link https://www.vevo.com/watch/another-lost-year/call-it-like-it-is/QMGR31871900?isrc=QMGR31871900&share_location=ingestion. Check out the dates below.